We Remember the Life of Joyce Gillis Joyce was a producer at the John G. Alden Insurance Agency, Inc. of Boston and after moving to Florid in 1983, managed the John G. Alden Insurance Agency of Ft. Lauderdale. She founded and operated the Joyce L. Gillis. Insurance Agency. Inc., which specialized in marine insurance for 30 years. Joyce was a member of the Mariners Club of Boston from 1977-1983 and of the two founding members of the Mariners Club of Ft. Lauderdale, where she held the offices of Purser and Skipper, and began the traditions of the club Holiday Cruise and Get Away Weekend. To keep informed of Joyce’s memorial service, please visit this page. Do you know of an event our Members should know about? Have you participated in an industry event, been recognized or received an award? Please email me at [email protected] and tell me about it. Thank you to all who attended our March Club Luncheon! Hope to see you in April. Yeoman: Raúl J. Chacón Jr. 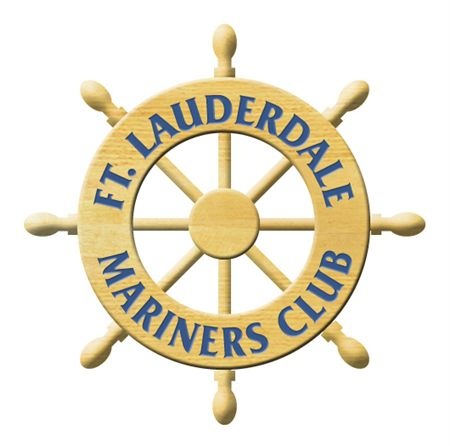 The Fort Lauderdale Mariners Club is dedicated to the promotion of ethical business practices among the sea-going community as well as the circulation of accurate and useful information to the boating community. Our membership includes both professional and leisure boating enthusiasts, as well as industry experts and professionals in many disciplines from around the world. We welcome your interest in the Mariners Club and invite you to become an active member to the benefit of each of us individually and all of us as a community. The easiest way to join is to attend a monthly meeting as a guest of a current member. Request an application form from an officer, complete it and mail it with your check for $50.00 to the Mariners Club for consideration by the membership committee. • Check to see that your email and other contact information in your profile is correct. • Make sure the email address below is on your spam filter’s list of allowed addresses. • Be sure to add the email address below to your “safe sender” or “white list” with your e-mail provider. If you have checked the items above and are still having trouble receiving emails, please the First Mate, Arlene Weicher for assistance.